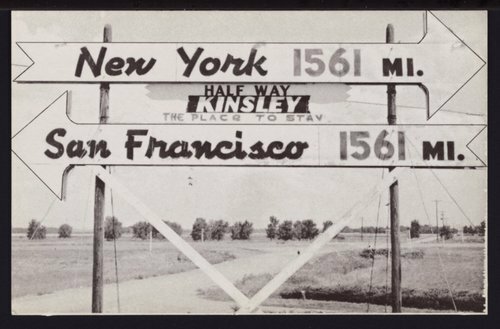 This black and white postcard shows the Half Way Park sign in Kinsley, Kansas. The park is located along the juncture of Kansas U.S. Highway 50 and 56. The town of Kinsley, in Edwards County, is also the official half way point from New York City and San Francisco, California.